Looking to find your best work trousers with knee pads pockets or inserts? A lot of thought can go into choosing the right pair of trousers for work. Do I have to hold a paintbrush to wear painters trousers? Can I wear carpenters trousers even though I won’t be swinging a hammer anytime soon? When your job is active, messy, or even just outdoors, you need a pair of work trousers that are durable, comfortable, and won’t fall apart after a few washes. And that means not any old pair of jeans or khakis will do. Luckily there are plenty of options out there so assuming you need to buy a pair, you are into the right place. Check these work trousers reviews and choose the features and style you’re after. 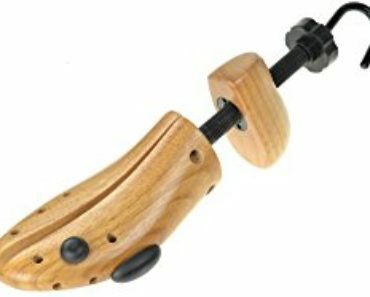 At the end of these reviews, I compiled a buyers guide with the most important things to look out for before buying a pair. If you’re not in a rush, you should have a look. These Apache work trousers offer you a good protection thanks to their thick, breathable material. They are equipped with cordura multi-tool exterior pockets that can easily be stored in the normal pockets underneath them so they’re not in the way if not needed. 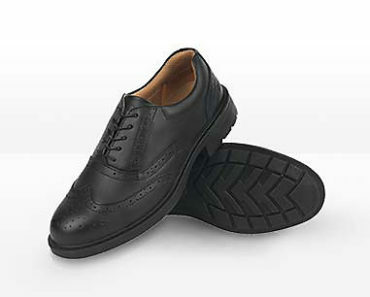 Each pair comes with knee pads inserts, which might prove very useful for many jobs out there. 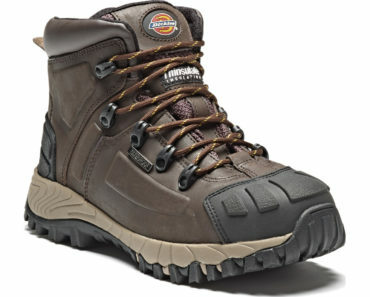 Tough, hard wearing and cheaper compared to other, more popular brands. They won’t last as much as others but they’ll do the job. Plus, they are quite a practical solution thanks to their multiple pockets. However, depending on your job, if you spend a lot of your work time standing on your knees, you should consider investing in some proper knee pads rather than the inserts, as the tough material can hurt your knees after a long day. Another well-known brand in the workwear industry, Denim, that offer you the option to choose between their 4 colour options: dark brown, light brown, gray and black. These Denim work trousers are reinforced with protective aramid lining in critical areas like hip, knees and thighs. They are also equipped with knee pad and hip pockets and you get free decent quality foam protectors included in the sale price. You can remove them however if they’re not needed. I was surprised by the fact that they feel extremely lightweight for a pair of strong, heavy duty work trousers. And that’s even with the foam pads on. Their aramid fibres provide good protection against abrasion, cuts and heat making them quite flexible in terms of work environments. Stylish, comfortable and durable. Ignoring their quality and long-lasting feature, being manufactured by Denim – it’s one of the reasons they are more pricey compared to other work trousers of this list. Protection is one of the top priorities of these Denim work trousers, hence the reason they are a popular choice amongst riders. As a negative, not as practical as others in regards to the number of pockets it comes equipped with. Another great pair of work trousers by Scruffs. 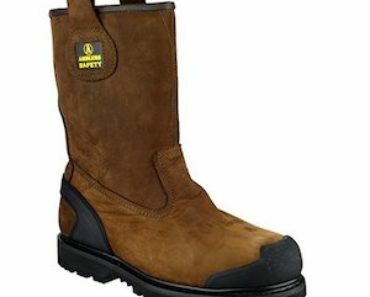 Launched in 2003, Scruffs has developed rapidly in the UK market and managed to become one of the leading safety footwear and work wear brand. That’s probably one of the reasons they are a bit more expensive than others work pants brands, but if you’re willing to invest in a long-lasting pair, they might be a smart choice. Even if they are a tough out pair, you get good breathability in the warmer weather thanks to their meshed zip vents to inner tigh. The trousers feature tool loops at the waistband, a hammer loop, cargo pockets and zip leg pockets. They are also equipped with a cordura bottom loading knee pad inserts and reflective detailing. Equipped with lots of handy pockets and if durability is one of your main priorities, you can rest assured that they are built to last. As a con, the lower leg material it’s a bit baggy. Here’s another lightweight trouser made of polycotton material by another well-known brand in the workwear industry, DeWalt. Each pair is equipped with top-loading knee pads pockets but they don’t provide any inserts at all. So if your job often involves standing on your knees, you will need to buy a separate pair of knee pads protectors. These DeWalt work trousers come in a blend of 2 different colours: black and grey. I found the pockets in the right place and very useful for holding my fittings. The trousers are well wearing and given the fact they’re lightweight – very comfortable. They’re triple stitched in all the key areas, however, I wouldn’t necessarily recommend them for the heavy duty jobs. A great feature about these TuffStuff work trousers is their waist-mounted pockets which are removable and simply zip off whenever you choose not to use them. Lightweight and with a praised longevity, they come in a mix of 4 different colours: blue, beige, navy and black. 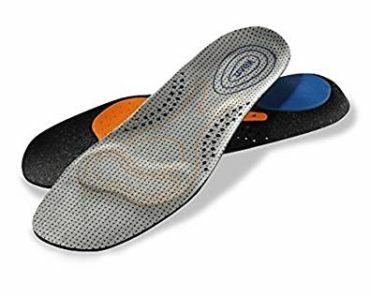 They also come with cordura knee-pad inserts, however, if this is an important feature to you, then this pair might not be fit for purpose. Sometimes you might find your knee pads being badly positioned when kneeling. You have to make sure your knee is centrally positioned on the knee pad before laying down completely otherwise there is a tendency for your knee to land on the edge of it. Besides this, great value for money and a well-deserved spot in our best work trousers list. Carhartt – one of the top brands worldwide and a leading brand in the workwear industry. They’ve been selling their products all around the world for more than 100 years now – which is a clear signal in regards to the quality and durability of their products. One of many reasons these work trousers with knee pads pockets (no inserts) are one of the best-reviewed pairs on Amazon.co.uk. Made of 100 % cotton, you get to choose from 7 different colours: dark brown, gravel, black, carhartt brown, midnight, moss and the normal brown. Thanks to their double front feature, they are ideal to keep you warm during those cooler days. You might find them a bit stiff on the first use because of their thick material but that feeling usually goes away after the first wash.
With reinforced pockets deep enough to avoid things falling out of them while sitting down and solid belt loops, they are a very sturdy, yet comfortable pair of work trousers. What I like about them is their casual look. Unless they get messy during your work, you can head straight to the pub afterwards. As a negative, it might not be a very practical solution if your work involves carrying a lot of tools. It doesn’t have as many pockets as others. Also, the entrance for the knee pads is a 7cm gap at the base of the double canvas front which means that the popular pad inserts like DeWalt or Scruffs won’t fit. So if you’re planning to buy some knee pads, check the size before or get ready for some DIY time. 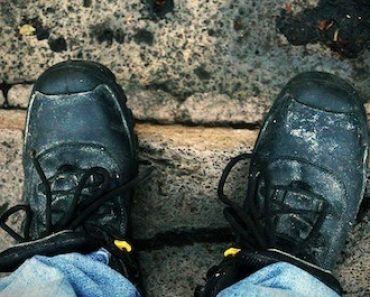 They are pricey compared to the other work trousers of our list, but a well-worth investment thanks to their quality, comfort and long-lasting features. This is the perfect first clue as to what sort of work trousers are the best for you. If you’re a carpenter or a plumber, you need more pockets. If you’re working in a hot environment, you need trousers that are lighter. If working in cramped spaces, with a lot of hanging tools around, some of your pants’ extra accessories might prove inconvenient. The materials used tells you a lot about craftsmanship and the best use of your work trousers. For instance, polyester and nylon are moisture-wicking materials, which are great for warmer seasons and moist work environments. Cotton, on the other hand, isn’t moisture-wicking but it’s more breathable and thicker, so it’s great for a dry spring-autumn weather. But you want your work pants to be resistant as well, you need materials that won’t rip or puncture very easily. 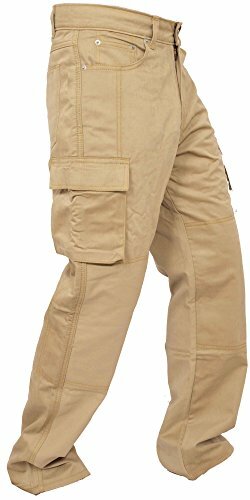 With that in mind, cargo pants are usually the best, thanks to their hardwearing fabric and resistant stitches. Depending on your line of work, reinforcements can be essential for you or not important at all. 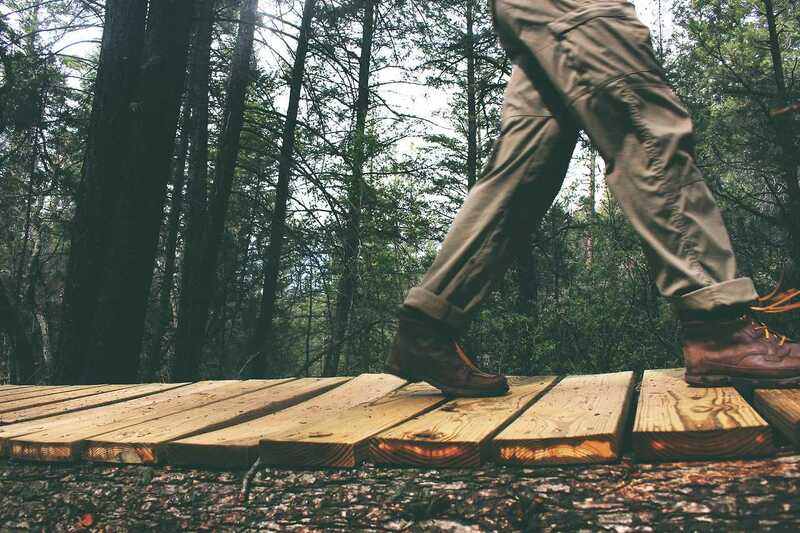 If you’re constantly on your feet, moving from one place to the next on flat surfaces, you might not need any reinforcements at all. But if you’re climbing up or down, taking big steps, you might find crotch reinforcements really great, and that’s also the case if you’re squatting all the time. I also like work pants with knee reinforcements because they look so solid. The best work trousers with knee pads allow these inserts to be adjusted easily, which is a true user-friendly characteristic. Otherwise, consider you need knee pads if you’re a plumber or carpenter, or if you work another job that requires you to crawl or spend a lot of time on your knees. Some buyer’s guides out there don’t even question the need for lots of pockets in work trousers saying that the best work pants must be packed with a multitude of compartments and pockets. But I’m here to challenge this hypothesis. Of course, there are plenty of jobs where you need lots of tools at hand. And fortunately, that’s why toolboxes were invented. Consider that if you pour your entire toolbox in your pants, they’ll feel really heavy and uncomfortable. However, if you’re constantly on the move, and need the use of both your hands, you can benefit from the extra pockets. These also serve to organise your stuff better, so you can be more efficient. I personally like hanging pockets a lot, not just for design reasons, but mainly because how versatile and useful they are. You need pants that are comfortable as well as durable, but that means different things depending on your line of work. For instance, if you’re mostly on the move, you need moisture-wicking, light, pants. If you’re always crouching or walking on all fours, you might need extra padding and thicker, scratch/ puncture-resistant pants. However, most work pants are pretty durable and comfy. I find it that a mix of cotton and polyester is very versatile for most purposes and jobs, which makes it the best for work pants. Needless to say, you need to pick the right size, so start by consulting the size chart offered by the manufacturer if you’re making an online purchase. You should also read other people’s reviews to make sure you get a size that fits. I like it when brands offer more size choices both in regards to length and waist, as well as a return option in case you failed to choose the right size from the get-go. You should also make sure you get the right fit for your needs. Slim fit work trousers are great for when you’re on the move – baggy pants might prove too uncomfortable in these cases. However, bagginess might transform into a positive quality if you need to crouch all the time or if you don’t mind sticking your pants’ legs in your safety boots. Hope you find this list of work trousers reviews useful, is there any other specific pair you’d like us to talk about? Please let us know in the comments box below and don’t forget: stay safe while feeling comfortable!